For a lot of audio creators, generating a visual way to represent some audio can be an awesome way to promote content online. If you are working in some product for a musician or related jobs, your application should be able to generate easily such asset. NAudio is a great way to start as you will need to obtain the peaks from the audio that you want to obtain the audio waves. In this article, we'll share with you a very simple way to create such wave audio images with the help of the NAudio library and the system drawing classes. 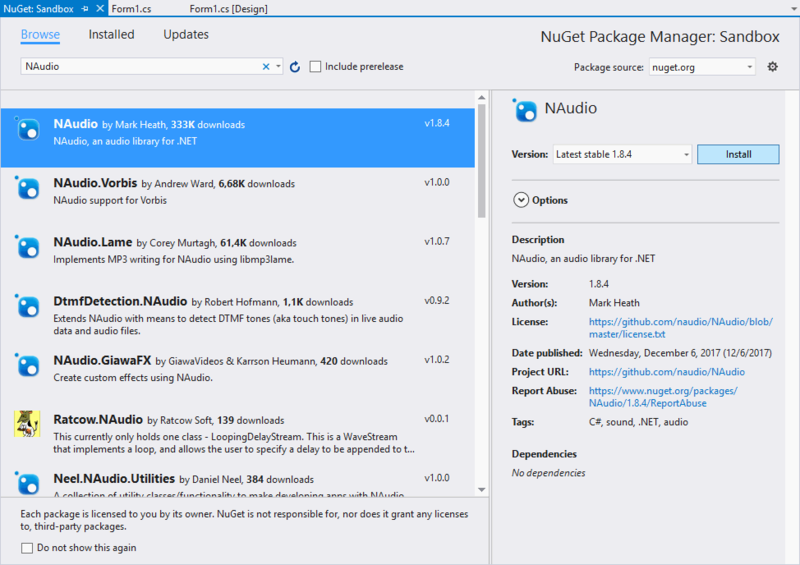 If you already have NAudio installed, then proceed with the implementation of the code. 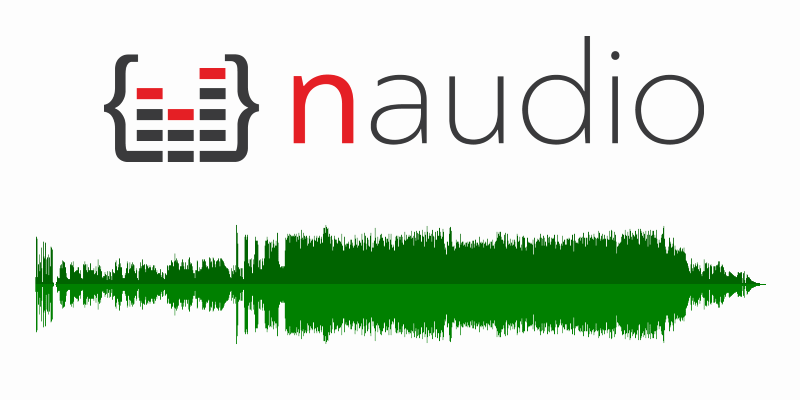 The NAudio library by itself doesn't offer any kind of rendering API, instead you will need to rely on some custom classes (published however by the NAudio team) in your project. 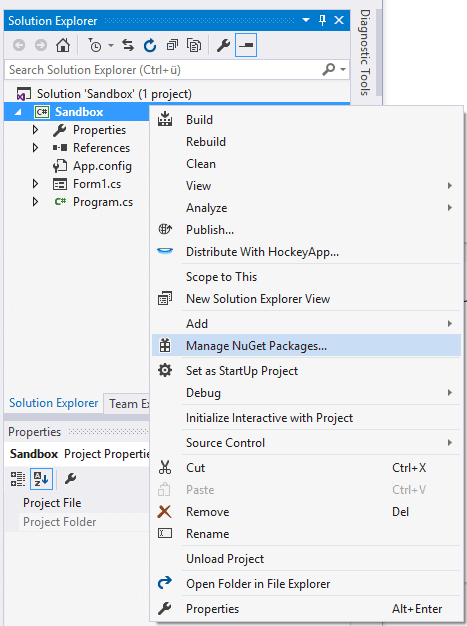 These classes aren't registered on NuGet though, so you will need to add them manually in your project. This will add a copy of the classes in your project and will expose them in the WaveFormRenderer namespace automatically. The logic to create the audio waves image is pretty simple with the help of the previous added classes. 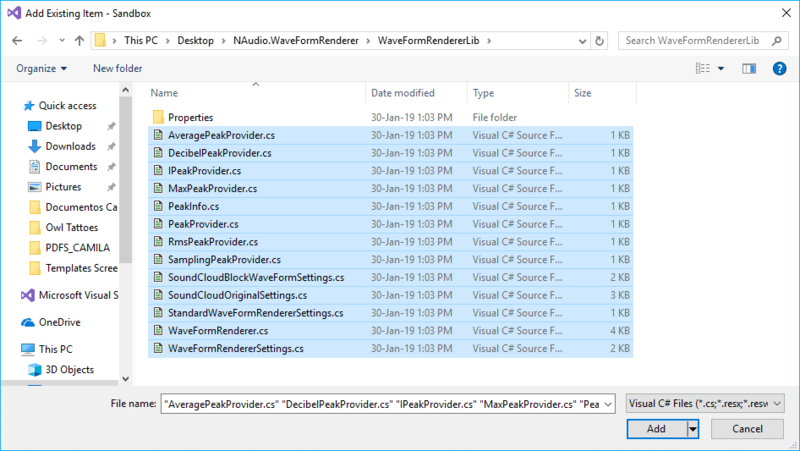 As first, include all the namespaces that we'll need and those are the classes from the WaveFormRendererLib and the System Drawing Classes. Then, configure the RMS (Root-Mean-Square) and the Peak providers. 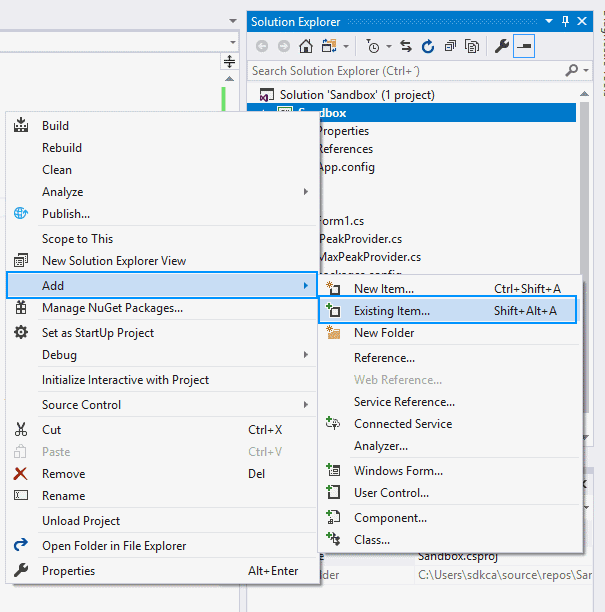 As next step, customize your image with colors, background images and size using the StandardWaveFormRendererSettings (you can use the autocomplete of Visual Studio to know all the customizable parameters).